Everybody up the march is on! Happy Homecoming NDSU! Sorry Penguins, it’s just not your day! http://electwilliams.com/wp-content/uploads/sites/39/2018/04/web-logo-300x138.png 0 0 Mike Williams http://electwilliams.com/wp-content/uploads/sites/39/2018/04/web-logo-300x138.png Mike Williams2012-10-06 15:36:362012-10-06 15:36:36Everybody up the march is on! The aspiring marine veterinarian was delighted that the school helped her obtain summer internships at aquariums in Rhode Island and Florida. Ms. Malinowski is the first Miss Porter’s graduate on record to attend North Dakota State. Dan Koeck A football game at North Dakota State in Fargo, N.D. About 55% of students come from elsewhere. FARGO, N.D.—As a high school senior from Connecticut, Diva Malinowski took a coast-to-coast tour of 10 public universities, bearing acceptance letters from each. She fell in love in Fargo. Ben Green North Dakota State senior Diva Malinowski came from a Connecticut boarding school. “The minute I stepped onto campus, I knew that North Dakota State was for me,” says Ms. Malinowski, a 21-year-old senior who matriculated from Miss Porter’s School, a private academy for girls in Farmington, Conn.
Ms. Malinowski is evidence of an unlikely trend: the growing allure of higher education in North Dakota. The state ranks 48th in the U.S. at attracting tourists. Its young people routinely flee for warmer or more exciting places. The private sector here, struggling to lure sufficient numbers of workers from elsewhere, is wrestling with labor shortages even amid national unemployment around 9%. Compare numbers and percent of in- and out-of-state students. But college students are flocking here in ever greater numbers. 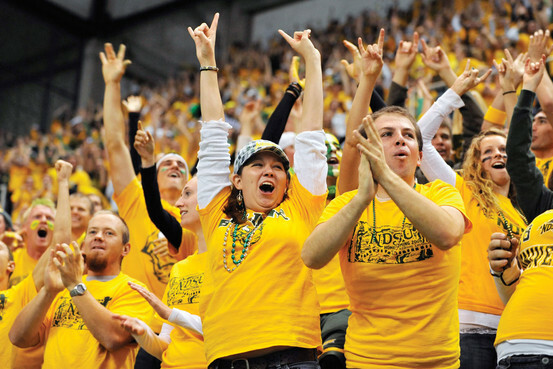 Out-of-state students account for about 55% of the 14,500 enrolled at North Dakota State University, as well as at similarly sized University of North Dakota in Grand Forks. Nonresident students at North Dakota’s 11 public colleges constitute a higher ratio than in almost every other state. High school juniors and seniors scouring online college guides find North Dakota universities are inexpensive and well-regarded, with modest-sized classes typically taught by faculty members rather than adjuncts or graduate students. “I found it online, showed it to my Dad and he was impressed,” says California resident Samantha Carlson, who graduated in May from North Dakota’s Valley City State University, where her younger brother is now enrolled. For California residents, North Dakota colleges cost about $10,000 a year in tuition and fees compared to about $12,000 in the University of California system. Many students hail from states far beyond the region. 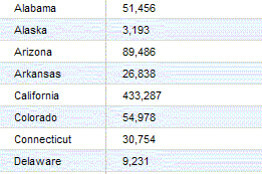 Floridians numbered 182 in 2010, up from 37 in 2000. During the same period, international enrollment rose to 1,600 from 1,125. “My roommates are from Mongolia and South Korea,” says Delaney McCormack, a Kansas resident studying technical theatre and design at North Dakota State. This isn’t happening by accident. A dozen years ago, a years-long decline in the number of state high school graduates was accelerating. Faced with the prospect of closing academic departments or entire schools, university leaders instead moved to attract more students, particularly from beyond state borders. The state poured money into improving academics. In the National Science Foundation’s rankings by federal research expenditures—a key measure of prestige for research universities—North Dakota State and University of North Dakota each jumped ahead of more than 30 other institutions over the past 11 years, to the 147th and 143rd spots, respectively. While improving its schools, North Dakota kept tuition low. In recent years, state revenues gushing from an oil boom in western North Dakota have given the state more resources to lure nonresidents. The result: Even as the number of North Dakota high school graduates fell below 7,400 in 2010 from 9,058 in 2000, enrollment at public colleges surged, climbing 38% in the decade ended in 2010, to 48,120. Leading that growth was a 56% jump in nonresident students. Out-of-state students who have stayed after graduation have helped reverse a decades-long population decline, with North Dakota now on the verge of breaking its 1930 record of 681,000 people. Out-of-state students fill both classrooms and budget holes. Traditionally, states charge nonresidents tuition and fees as much as triple that charged to residents. The premium is especially tempting now as state legislatures nationwide slash outlays for higher education. Facing a funding cut of $650 million or more, the University of California system sent a record 18% of its undergraduate admission letters for the upcoming semester to non-residents, up from 12% in 2009. One goal: to collect a $23,000 premium imposed on out-of-staters, bringing their annual tuition-and-fees to about $35,000. Luring nonresidents is growing more crucial as the demographic dilemma North Dakota confronted years ago spreads to other states. Due to population shifts, 27 states will see declines in home-grown high-school graduates in the next five to 10 years, says a recent report from the U.S. Department of Education. As public colleges and universities battle across state lines, “there will be winners and there will be losers,” says R. Michael Tanner, an executive of the Association of Public and Land-grant Universities. Among probable winners will be academically elite public colleges such as some in California, Texas, Michigan, Virginia and North Carolina, along with colleges in tourist destinations such as Arizona and Colorado. Touting both advantages is Vermont, the nation’s top nonresident magnet. A once-private public college that offers academic cachet near wooded hills laced with ski slopes, the University of Vermont draws 75% of its freshman class from other states, even though it charges nonresidents tuition of $32,500, about $20,000 more than residents pay. Dan Koeck Communication students work together on a project. The battle could be fiercest for a type of enrollee who until now has gone largely unnoticed: the out-of-state bargain hunter. Although many public colleges have long offered out-of-state tuition below $20,000, few have advertised it, largely to avoid antagonizing state lawmakers who believe state schools should serve state residents. But political opposition is generally waning amid the depleted budgets and declining high school grads. Caps on nonresident enrollment are loosening in many states. “Out of state tuition might be cheaper than you think,” said a recent press release from San Diego State University, touting its nonresident rate of under $16,000. No place has proved more popular with bargain-hunting nonresidents than flat, cold, landlocked North Dakota. The state has a long tradition of spending generously on higher education. Some in the heavily Republican state have complained that it is academically “socialist.” To make sure no North Dakotans had to travel far to attend college, the state has 11 public colleges, including half as many four-year institutions as Minnesota—a state with eight times as many people. In 1999, the state legislature assembled a committee of 63 leaders of government and business to debate whether to cut classes and departments. 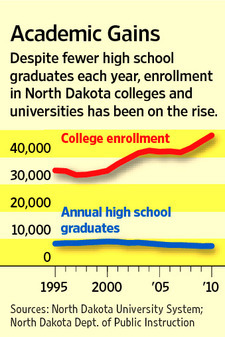 After all, North Dakota in 1999 produced fewer than 9,000 high school graduates, down from 10,740 in 1980. In the end, however, the so-called “Roundtable” committee vowed to bolster their university system in a bid to exploit its potential as an economic development asset. All along, North Dakota’s 11 public colleges had provided economic stability to up-and-down agricultural towns like Mayville and Dickinson. In a May 2000 report, the committee laid out a plan to attract ever-greater numbers of nonresident students to North Dakota universities, and help those universities spawn private enterprise that would hire those students upon graduation. Higher education would become a “primary engine in reversing” the state’s economic and demographic woes, the report said. A key to attracting out-of-staters was undercutting other states on price. The highest-priced public colleges in North Dakota—UND and NDSU—officially charge nonresident students about $17,000 in tuition and fees. That’s half what nonresident students pay at many public colleges elsewhere. And it’s less than some in-state rates at public colleges in places like Illinois and Pennsylvania. But as it happens, few nonresidents at UND or NDSU pay anywhere near that rate. That’s because North Dakota belongs to consortiums in which it and about 20 other states agreed to charge each other’s students no more than 1.5 times in-state rates. As others raised tuition, North Dakota held its price down. In many cases, North Dakota waived the premium, enabling out-of-staters to enroll full-year for about $7,000, lower than resident tuition in most other states. Traffic charts of higher-education consortiums in this region show heavy student migration toward North Dakota. In a Midwest student-exchange program in 2009, North Dakota enrolled 557 students from Wisconsin, Missouri, Nebraska and three other neighboring states, while losing only 39 North Dakotans to the bunch of them. A Western consortium of 15 states including California, Oregon and Arizona delivered 1,604 students to North Dakota in 2010, while attracting only 367 North Dakotans. Especially productive is North Dakota’s reciprocity agreement with Minnesota next door. In the school year ended in 2010, 8,381 Minnesotans studied in North Dakota, compared with 4,781 North Dakotans going the other way. Minnesotans can enroll at North Dakota State or University of North Dakota for tuition of about $7,200, compared with in-state tuition at the University of Minnesota in Minneapolis of about $10,000. For other states, competing with North Dakota on the cost of education is difficult. As other states battle budget shortfalls, oil revenues this past year enabled North Dakota to run a billion-dollar surplus, and to fund a 13.4% increase over two years in appropriations to the North Dakota university system. That followed higher-education budget boosts of 20.6% in 2009 and 13.5% in 2007. The increases help keep tuition low while paying for improvements. As its enrollment grew by nearly 50% in the past 11 years, North Dakota State more than doubled its doctorate programs, to 44 from 18. Its annual research expenditures have climbed to $120 million from $45 million a decade ago. In February, the Carnegie Commission on Higher Education reclassified the school as a “very high research activity” institution, placing it among the nation’s top 108 private and public universities. After graduating from North Dakota State in 2010, Sri Lanka native Maduka Bandara started working as an engineer at Pedigree Technologies, an information-technology firm, founded by a 1997 graduate. “The quality you get for the affordability at NDSU is very good,” says Mr. Bandara. To recruit in other states, both UND and North Dakota State spend on advertisements in magazines and on cable channels such as Comedy Central. Each also has stationed a full-time recruiter in their largest out-of-state market, Minnesota’s Twin Cities. Increasingly their reach is extending beyond the Great Plains and Mountain West. 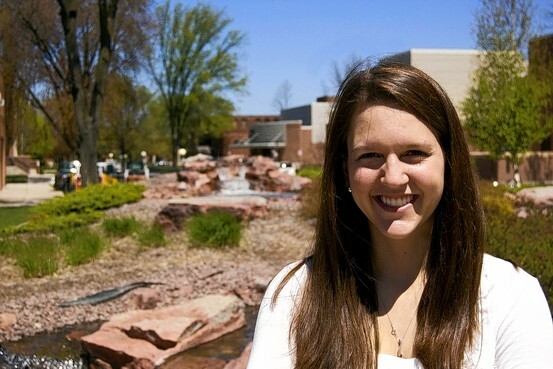 As a senior at Miss Porter’s, the 168-year-old Connecticut boarding school, Ms. Malinowski learned about North Dakota State during a computer search for undergraduate programs in zoology. “I won’t be the last,” she says. â€Žâ€The built environment is the product of our imagination and our work, and it is where we spend nearly all of our time, yet it is also the source of many chronic diseases and natural resource challenges we face.â€ is a quote fromÂ this interesting article from UCLAâ€™s Institute of the Environment and Sustainability. If this article interests you, hereâ€™s a great opportunity to learn more about healthy community and urban design at Â www.go2030.net speakers forum tomorrow night. Tuesday night 7 p.m. at the Fargo Commission Room, urban designer Rick Harrison will give a presentation on â€œPrefurbiaâ€ his term for building more healthy, attractive, efficient, and fun communities. Rick Harrison, author of Prefurbia and creator of Coving, is president ofÂ Rick Harrison Site Design Studio, which offers cutting-edge design solutions that enhance quality of life with the beauty of the natural environment. Prefurbia Workshop: Â A collection of innovations in design and technology specific to sustianable development that provides a â€˜preferredâ€™ standard of living for both urban and suburban dwellers. Â Prefurbia â€“ this 90 minute workshop will teach solutions for developers, builders, consultants, regulators, and municipal staff on how to build developments that are both environmentally and economically superior to conventional methods. Â Prefurbia also includes new ways to regulate that encourage better development and higher quality housing. GO2030 speaker forum presents Rick Harrison on designing "Prefurbia"
â€Ž”The built environment is the product of our imagination and our work, and it is where we spend nearly all of our time, yet it is also the source of many chronic diseases and natural resource challenges we face.” is a quote from this interesting article from UCLA’s Institute of the Environment and Sustainability. If this article interests you, here’s a great opportunity to learn more about healthy community and urban design at Â www.go2030.net speakers forum tomorrow night. Tuesday night 7 p.m. at the Fargo Commission Room, urban designer Rick Harrison will give a presentation on “Prefurbia” his term for building more healthy, attractive, efficient, and fun communities. http://electwilliams.com/wp-content/uploads/sites/39/2018/04/web-logo-300x138.png 0 0 Mike Williams http://electwilliams.com/wp-content/uploads/sites/39/2018/04/web-logo-300x138.png Mike Williams2011-07-11 16:19:052011-07-11 16:19:05GO2030 speaker forum presents Rick Harrison on designing "Prefurbia"